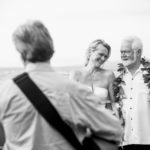 Philip and Caroline renewed their vows at the Mauna Lani Hotel. 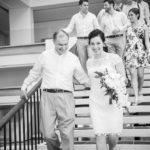 They had the vow renewal with the same officiant and at the same beach when they were married. Cheryl with Aloha Weddings was the officiant. They were a great couple that laughed a lot and had a lot of joy.